Since MAAG machines are known for their precision and durability, savvy owners are upgrading their existing equipment. 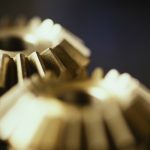 Since the last MAAG gear-shaping machine was built and delivered in 1990, it’s safe to say that the many outstanding advantages and capabilities that these machines provide are known and appreciated by only a few people in the gear industry. 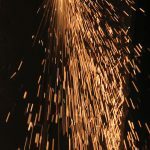 However, the great number of MAAG gear-cutting machines in worldwide operation–along with intermittent opportunities to purchase them as used machines–has resulted in a certain amount of invention borne of necessity. 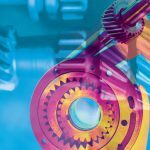 Those not totally familiar with the MAAG series of gear-cutting machines may not understand why they are still highly valued for many gear-manufacturing applications. The well-known MAAG gear-cutting machine, as well as the MAAG gear-cutting methodology itself, were developed by Dr. Max Maag of the MAAG Gear-Wheel Company of Zurich, Switzerland, in 1913. Initially, Maag’s principal aim was to produce gears of superior quality and precision than those being manufactured at the time. 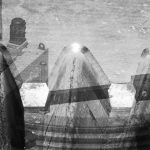 Needless to say, his efforts led to the development and subsequent introduction of the world-famous MAAG gear-cutting and grinding machines. 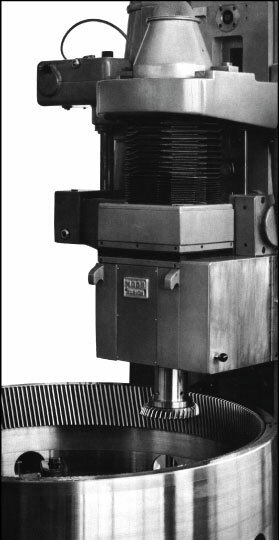 The very name soon became synonymous with the highest degree of precision, and many machine-tool builders actually began touting the fact that their particular machines incorporated MAAG-cut and ground change gears in each of their machine’s respective drives and mechanisms. 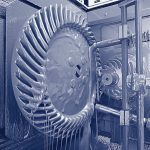 For both small- and larger-diameter gears, the MAAG gear-cutting or gear-shaping machines soon became even better known as one of the most versatile and economical machines to be found. It can probably be said that the basic simplicity of the MAAG gear-cutting methodology–generating gears utilizing “rack-type” tools–factors most importantly in realizing this versatility and economy. The rack-type tools are significantly less expensive than hobs; especially heavy-pitch, large-diameter hobs. They are also easier to manufacture, and with relatively quick delivery. In a great many instances, gear houses have actually learned to manufacture their own cutters (typical MAAG cutters, Figure 1). 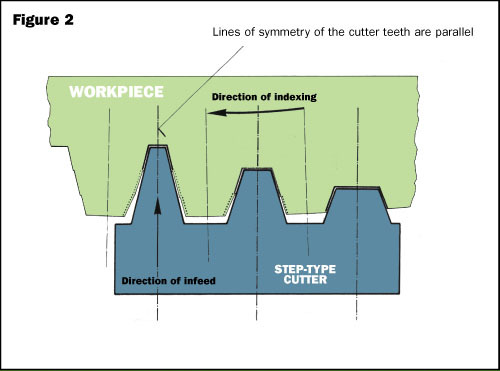 Special “step-type” cutters, which usually have just three teeth, are utilized for coarse-pitch, heavy-duty “plunge” cutting (scheme sketches, Figure 2 and Figure 3). The step-type cutters are normally used after the tooth spaces are gashed out with a single-tooth cutter. 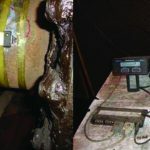 The rack-type cutters are also relatively inexpensive to maintain, with their simplicity of design permitting precision in their manufacture and reliability in their inspection. Especially for coarse-pitched and/or profile-corrected teeth–with tip relief, crest chamfer, protuberance, etc.–these advantages are not to be underestimated. Also, when sharpening the cutter by regrinding the face, the cutting-edge profile remains unchanged. 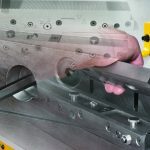 Since a “backing-plate” takes up forces when cutting, the rack-type cutter can be ground and reground until it’s only a few millimeters thick. 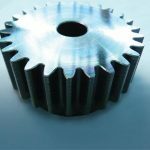 Actually, the same cutter can produce spur gears or right- or left-hand helical gears, no matter the number of teeth or the helix angle. 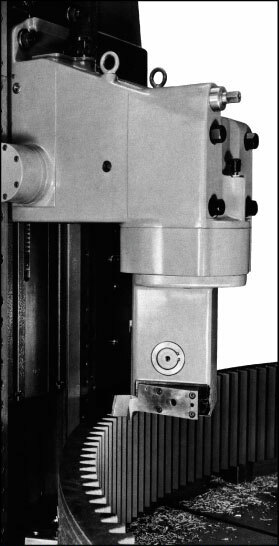 Also, the rack-type tools–combined with today’s new coating and carbide technologies–make the later-generation, larger-diameter capacity MAAG gear shapers formidable enough to finish shape-hardened gears, and capable of achieving precision parameters that can sometimes eliminate the need for an additional grinding operation (MAAG machine series SH-250, SH-250/300, SH-450, SH-450/500, and larger models). At the same time, it’s important to point out that even the older-vintage MAAG machines, if properly maintained, have been found capable of delivering almost unbelievable accuracy when compared to other types of gear-cutting machines–including some more-modern models. All MAAG gear-shaping machines are capable of both external spur and helical cutting, and with an “unlimited” maximum helix angle. When fitted with type “JV” or “JVE” internal cutting attachments, internal spur gears can be shaped using conventional disc-type, or pinion-shaper, cutters, and/or “single-point” cutters (JV and JVE, Figure 4 and Figure 5). Utilizing the “HV-type” internal cutter head, internal helical gears can also be cut, using an appropriate helical guide. 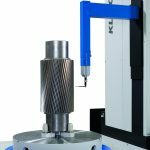 Most MAAG gear shapers are also capable of cutting precision spur and helical racks, with the addition of a table mounted rack-holding device or fixture. On the other hand, MAAG machines, with all of their advantages, normally carry a high acquisition cost. Again, when they were still being manufactured, they were probably the most expensive gear-cutting machine you could buy, when compared to other gear cutters in a similar diameter/capacity range. The cost of “Swiss precision” was included in the robust nature of their construction, and the breathtaking price tags on some of the larger models was enough to put a smile on the face of many a Swiss banker. 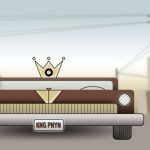 Traditionally, the MAAG gear-shaping machines maintained a high resale value, and this is still true, to some extent, today. The relatively few MAAG gear-shaping machines that become available on the used market continue to be priced beyond the budgets of many buyers. Those manufacturers who currently utilize MAAG shapers–as well as those contemplating acquiring them–have made, or are considering making, a significant investment. In my considerable experience, I can say that this investment is always a good one, and that I can’t recall a single scenario in which this was not the case. For those manufacturers engaged in emergency breakdown and repair work, the MAAG gear-cutting machines continue to rule as the best overall gear cutters of all time. Since MAAG machines are no longer being manufactured, replacement parts have become costly and are often difficult to obtain. This is especially true where electrical spares are concerned, as the older Brown Boveri electrical switch-gear cabinets will inevitably need to be replaced with modern, compact electrical cabinetry with PLC controls, etc. 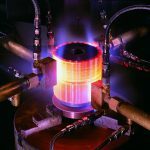 On the larger, later-vintage MAAG gear-shaping machines, such a project can be costly, since it could also involve replacing some of the motors and drives to be compatible with the newer-generation electrical systems. Once again, this investment is inevitable. Anyone who wishes to continue realizing the advantages of their in-house MAAG gear-cutting machines will have to do this. Those planning to invest in a refurbished MAAG machine should certainly consider this and factor it into the initial cost of the machine itself. The news gets worse when one considers the machine downtime that’s necessary to perform such a retrofit. 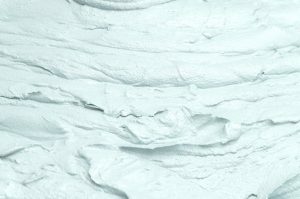 If the MAAG machine scheduled to be retrofitted is one of the company’s principal moneymakers, the project and required downtime need to be planned properly. When the purchase of a newly acquired MAAG machine is finalized, and when the machine is dismantled and being prepared for shipment, the new electrical system should already be ordered, with its delivery coordinated with completed foundation requirements and the ultimate machine reinstallation. Now that one has begun contemplating the expense of electrical upgrade and recontrol of their existing MAAG machine, why not take the project one step further? 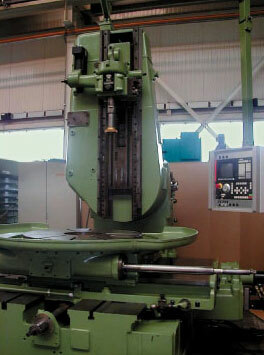 In 1997, Walter Grell in Moehlin, Switzerland, in conjunction with Richard Welter Maschinen in Lahr, Germany, began delivering the first of several older-generation MAAG gear-cutting machines that had been refurbished and fitted with the new-generation NUM 1060 digital CNC control and gear-cutting software. This control and software can be retrofitted into any MAAG gear-shaping machine, from the smallest SH-10 series up to the largest SH-12 (12-meter) gear-shaping machines, including new electrical switch gears and the appropriate motor and drive packages. The new Walter Grell CNC system for MAAG gear shapers is normally rendered in five-axis execution, incorporating table rotation, table-generation motion, radial/infeed, cutter-ram stroking, and cutter-head swivel axes. There would be an additional sixth axis and digital motor for cutter rotation included for machines utilizing disc-type shaper cutters with an internal attachment (SH-180 photos, Figure 7 and Figure 8). The control features operator-conversational dialogue in nearly any language, an electronic hand wheel to facilitate work and fixture truing, and a compact “pendant-type” control with CRT for the larger-diameter machines. Elimination of all shafting, change gears, clutches, older drives, and motors provides a 70-percent reduction in moving parts, overall. This, combined with the all-new electrics, reduces maintenance costs to a fraction of what they were, and an infinitely smaller fraction of what they might be, given the fact that many costly replacement parts will no longer be required. MAAG machines being utilized for cutting double-helical gears with the DS-type head and oblique cutters create more stress and wear in the shafts and drive train. 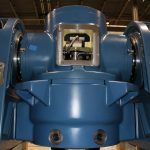 This elimination of the change gears and shafting–which are subject to wear and ultimate replacement–also serves to eliminate vibration, which can sometimes show up in the cutter. 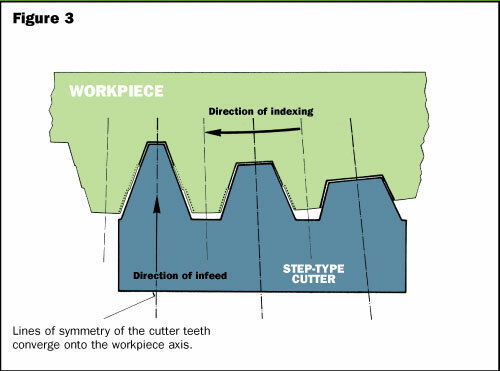 This lessens the impact on sharpening, should there be a minor error in the cutter, and improves performance when performing double-helical cutting with the oblique cutters. The elimination of the cause enhances the effect. Elimination of the control-disc mechanism in the MAAG gear shapers completely removes what is sometimes referred to as “wind-up.” The control disc and automatic stopping device served in the past as a means of compensating for a degree of overall drive-train wear, or wind-up, created by working in conjunction with the automatic gear box and feed mechanism. The CNC control more efficiently handles the feeding of the blank into the tool, the generation of one or more teeth, the indexing, and the now-quicker return motion of the table. Enhances and improves performance when “hard cutting,” or when cutting through-hardened material. 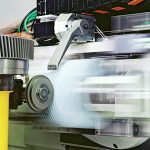 Hard cutting requires a substantial increase in cutter speed–i.e. 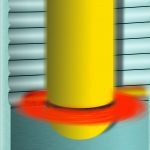 cutter surface feet–which can be increased from 20 to 30 percent with the CNC using a single-point tool. Also, with increased cutter-ram speeds, the stopping point before the return stroke is rarely found to be consistent. With the CNC, the stopping point becomes exact, every time, and within .005 microns accuracy. In addition, when using CBN tools, the CNC provides the capability of varying the cutter speed, increasing or decreasing precisely during the same single stroke, and eliminating any harmonious chatter or harmonic vibration.The overall cutting-time savings can be enhanced as much as 25 percent with the full CNC software system. This becomes more significant when cutting larger-diameter, coarse-pitch gears with longer face widths. The set-up time savings is also a factor, but much less so when one considers the time it takes to fixture and true-up a large, heavy workpiece. The time it takes to change a few change gears and properly set a few trip or stop dogs becomes negligible when it might take hours to actually set the part up for cutting. 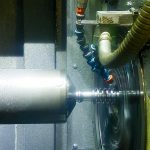 The CNC also provides more-efficient monitoring of the cutting condition, as well as monitoring both lubrication and hydraulic systems. In addition to other safety features, a battery backup with an emergency “quick carriage retract” system is also installed in case of electrical power failure. 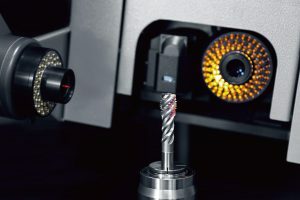 Lastly–and perhaps most importantly–is the fact that the CNC will enable the operator to more-easily realize or achieve what is known as “the optimum cutting condition.” Tedious trial cutting can be eliminated by the operator’s ability to develop the optimum feeds and speeds for all of his different workpieces, types of materials, and different tooling/cutters. 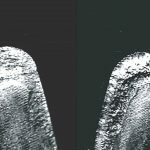 Any and all of the more-aggressive machine settings, and/or those that might maximize cutter life or enhance surface finish, can be saved in the controller’s memory and recalled when that particular workpiece repeats itself within a production period. After the CNC control, electrical switch-gear cabinet, and the drive and motor package is ordered and ready, it takes between three and four weeks to complete the installation and begin test cutting. Obviously, it would be prudent to perform any refurbishing of the base machine during this same time. 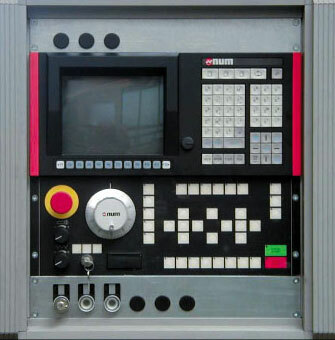 The Walter Grell CNC control and MAAG cutting-software system is normally installed at the Richard Welter Maschinen facility, where the base machine is usually refurbished in preparation for the retrofit. It is also possible to perform the retrofit on the larger-diameter MAAG machines in the field, as it is quite costly to move and ship the larger machines. As mentioned previously, most of the MAAG gear-cutting machines represented a substantial investment when they were purchased. Can the owner say that this particular capital investment did, indeed, pay off in the end? 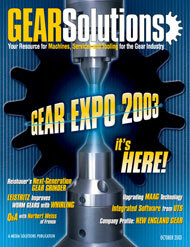 Can he say that the time of the MAAG gear cutter is gone, and that it’s time to put the old girl out to pasture? The smarter move may be to renovate, rejuvenate, protect, and even enhance that initial long-term investment. The MAAG gear-cutting machines were all precision built, and they are highly versatile, extremely productive, and super-accurate. The fact of the matter is that there will not be any new MAAG machines. But the technology is now available to make the existing machines more accurate, more productive, and even better than new. A total of six machines have been delivered with this new CNC system retrofit. So far, the only orders placed for the full CNC system have been received from buyers in Central Europe. It is now time to bring this technology to the United States so that current MAAG owners can protect their original investment and enjoy the benefits of 21st-century productivity. 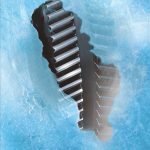 The proven MAAG gear-cutting methodology, combined with today’s state-of-the-art CNC technology, is a retrofit option that is well worth considering. Fritz Schroeder, Manfred Chi, Roland Ramberg: The Gear Works-Seattle, Inc.
Nicholas J. Laurens (deceased), formerly with Laurens Bros., Inc.